On October 14th, the Montreal Trek for Teens hosted its first event of the year: a glow in the dark launch party! 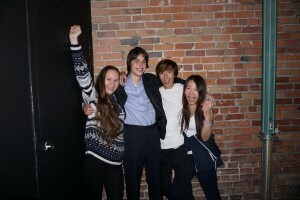 The party took place at the Facul T Club and all proceeds went to youth shelters in the Montreal area. The event was a great success - kicking off the Montreal initiatives and getting people interested for upcoming events. Check out some of the night's highlights below!